Carmen Krogh, BScPharm (retired), is a peer reviewed IWT health researcher and formerDirector of Publications and Editor-in-Chief of the CPS. To help address public concern over these health effects Health Canada (HC) announced the Health Canada Wind Turbine Noise and Health Study (HC Study) 2 years ago and brought forth preliminary results November 6, 2014. Here we briefly comment on the HC Study results and provide some historical context. Acknowledgement of IWT adverse health effects is not new. The term “annoyance” frequently appears when discussing IWT health effects. It turns out it’s not a small percentage of people annoyed by wind turbines. An Ontario Government report concluded a non-trivial percentage of persons are expected to be highly annoyed. Canadian Government sponsored research has found statistically significant relationships from IWT noise exposure. The logical solution would be to develop IWT noise criteria which will protect human health but that would present a barrier to wind energy development. Noise limits impacts IWT siting, cost of energy produced [xxxiii] and by extension corporate profits. The wind energy industry has actively lobbied governments to be granted IWT noise exposure limits which benefit their industry. It would appear HC’s research effort is too little too late. A non-trivial percentage of Canadians continue to experience adverse health effects. HC now has additional scientific evidence of the “conclusively demonstrated” effects from exposure to IWT noise. It is time for HC to take action to help Canadians maintain and improve their health. On November 6, 2014, Health Canada released its long-awaited results of the $2.1-million, publicly funded Wind Turbine Noise and Health Study. Only, it didn’t: what was released in a whirlwind public relations effort was a summary of the study results—no data was presented, nor was there a full formal report, or a publication that had undergone the promised “peer” review, by scientists. Wind Concerns Ontario immediately convened an expert panel to review the documents available (the summary plus a PowerPoint presentation, and basic study details available on the government website) and has produced a summary report of their comments. The panel consisted of several university professors with expertise in physics and acoustics, as well as an epidemiologist, and a health researcher. The unanimous conclusion of the expert panel is that the study design was flawed; even so, there are clear findings of a relationship between wind turbine noise and adverse health effects. As the stakeholder group in Ontario, a coalition of community groups and individuals concerned about the impact of industrial-scale wind power generation projects on human health, the environment, and the economy, Wind Concerns Ontario wishes to express its disappointment in Health Canada, which has as its goal the protection of the health of Canadians, using sound science. Wind Concerns Ontario sent a letter today to the Minister of Health, the Honourable Rona Ambrose, together with the summary of our review panel comments, and a series of recommendations. Health Canada should rescind the “pamphlet” in its current form and if such a publication is deemed necessary, remove the claims about the “comprehensive” nature of the study, and further, affix the disclaimer more prominently. A judicial fight over the future of wind turbines in Ontario wrapped up Thursday with the fate of the province’s green energy law in the hands of judges. On one side is big money, wind energy giants like Samsung and a Liberal government intent on becoming a world leader in creating green energy. On the other are four families in Huron and Bruce counties whose homes are close to dozens of proposed turbines. But while it seems a David and Goliath affair, the underdogs have enlisted a legal pugilist who Thursday seemed to dance circles around the arguments of his adversaries, wrapping up a four-day hearing in London with an emotionally-loaded challenge to three Superior Court justices. Falconer was the most dynamic of lawyers representing four families in Southwestern Ontario battling the building of wind farms. It’s not the first time lawyers have challenged the Green Energy Act in court. Three years ago, wind opponents lost in court fighting a decision by an environmental review tribunal to allow a wind farm. But the 2011 effort had a handicap this one does not — it was a judicial review, in which judges must give deference to the tribunal. Halt, by issuing what’s called a stay, wind farms that are expected to be tested in January. Rule the environmental tribunal violated the constitutional rights of wind opponents when it refused to allow new evidence from a Health Canada study. Allow wind opponents to stop wind farms by showing they might be seriously harmed rather than proving they had been harmed. The judges expect to issue a decision on the stay soon, and while they didn’t specify a date, it’s likely they’ll act by January. Environmental review tribunals shield their eyes to contrary evidence, Falconer said. “They keep the blinders on. They’re not interested in new information. They’re interested in getting the turbines up,” he said. But lawyers for the government and wind companies disagreed, one arguing the Health Canada study only showed a link between turbines and annoyance and the early results hadn’t yet been peer-reviewed. “It’s a work in progress,” said Darryl Cruz, who represents St. Columban Energy. The decision by the environmental tribunal was correct and wind companies should be allowed to complete their wind farms, he said. 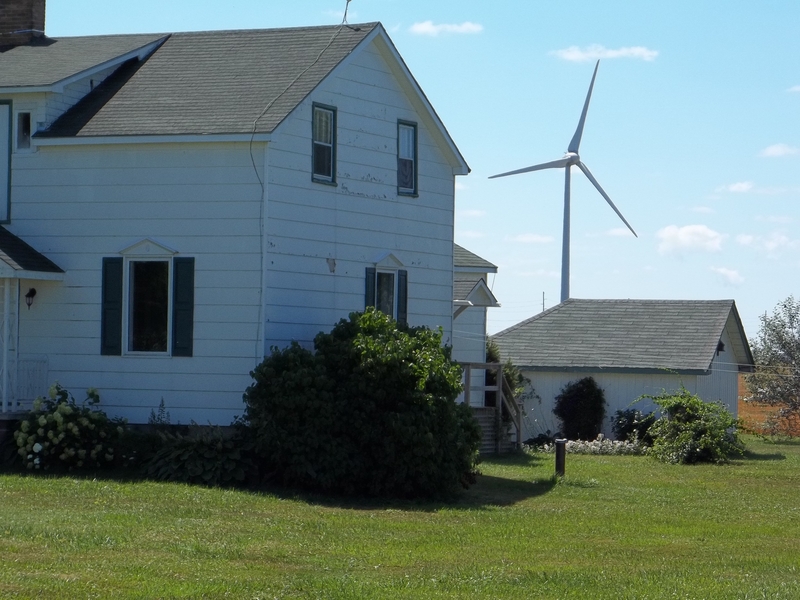 That’s a position one Niagara wind opponent has been fighting for about four years, moving from her Welland home to keep away from planned turbines. “It’s just wrong,” Catherine Mitchell said. Wind opponents say turbines cause dizziness, headaches, heart palpitations and other illness. The government says that’s wrong and that neighbours are protected because turbines are placed at least 550 metres from homes. 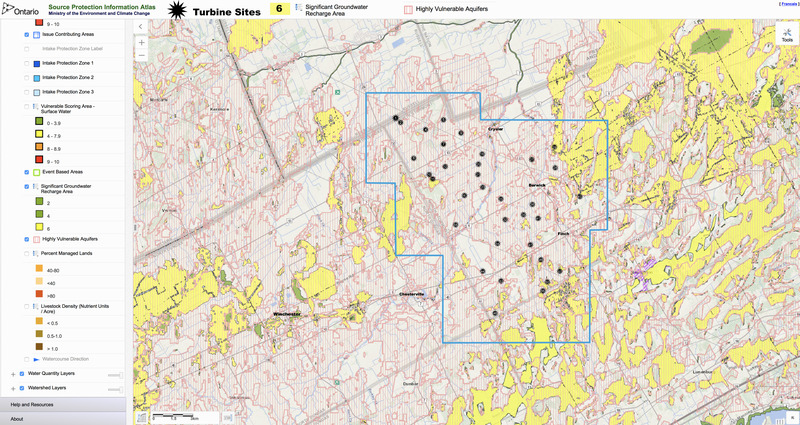 Ontario has more than 6,000 wind turbines built, planned or proposed, mostly in the southwest. Turbines account for about 4% of Ontario’s power.